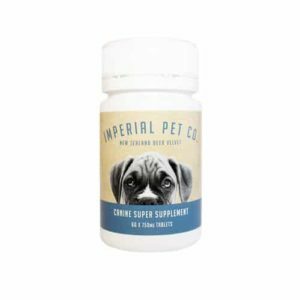 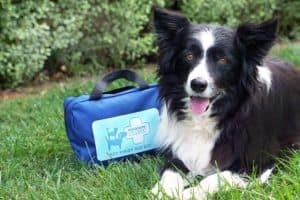 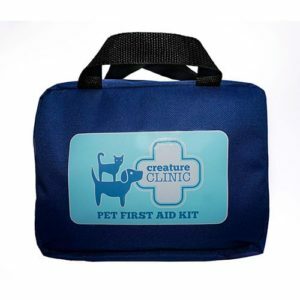 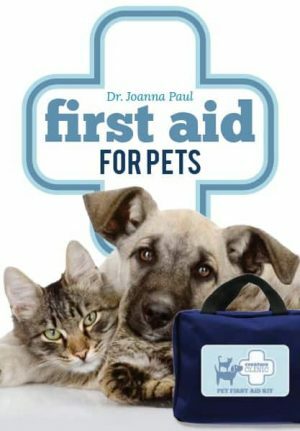 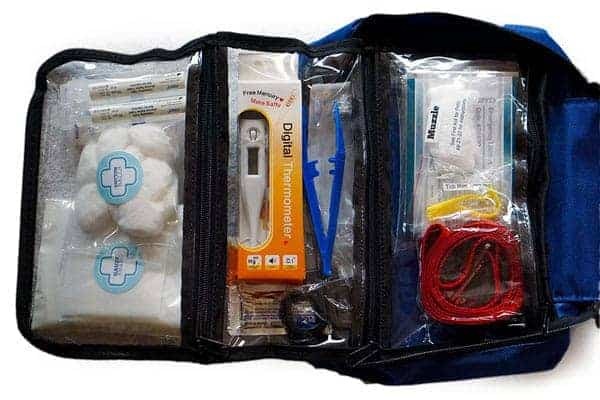 Creature Clinic Pet First Aid Kits are designed by a veterinarian and contain the key items essential for canine and feline emergencies. 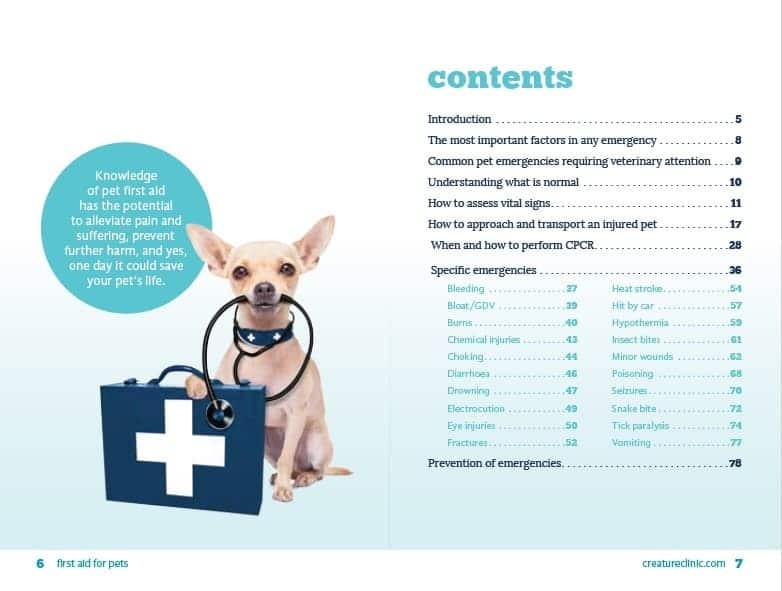 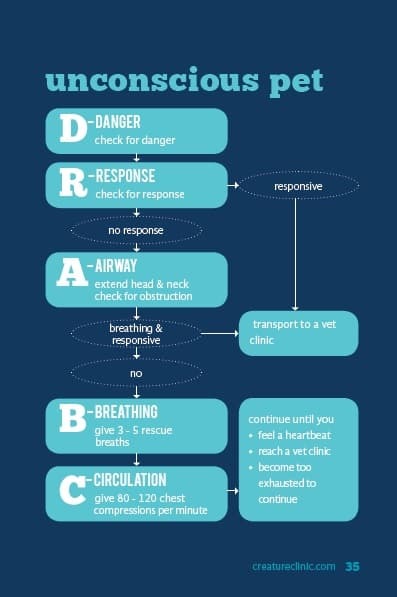 The included pet first aid manual provides simple, step-by-step instructions for how (and when) to perform pet cardiopulmonary cerebral resuscitation (CPCR) and for owner/caregiver management of common pet emergencies. 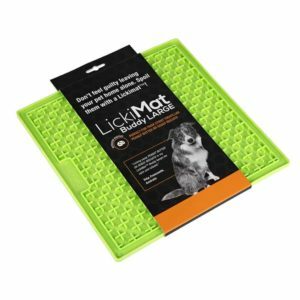 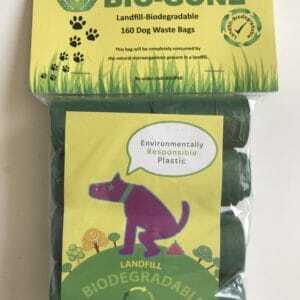 This Cats & Small Dogs kit is suitable for animals up to approx 10kg.